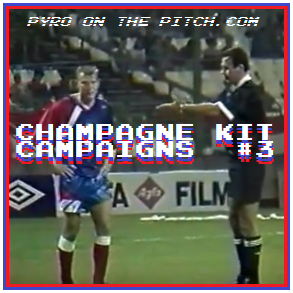 With the World Cup currently taking place in their country at the time of writing, it seems appropriate that our latest Champagne Kit Campaign goes back to look at Russia’s first ever time to compete in qualification as an independent state. We say “seems” since this is pure coincidence, as we are not doing anything special for the World Cup (although we will say it does contain the best collection of kits at a tournament since 1994 in our opinion). 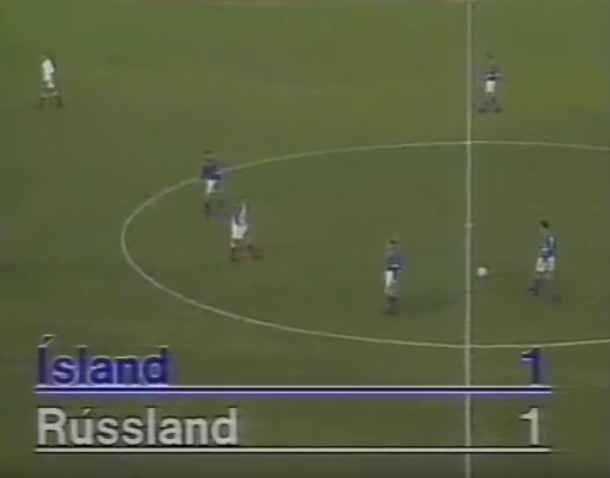 This is our second look at World Cup ’94 qualifiers in the series after our examination of Norway’s 92/93 kits in episode #1 (followed by the Dutch at World Cup ’78 in #2), and it will definitely not be the last time that we revisit the period. Back in Politics On The Pitch #1, we also broke down how the collapse of communism in Europe at the time effected these qualifiers, which is of course extremely relevant to this Russia team, so check it out for more information if that type of thing is up your street. Now, on with CKC#3. Russia’s international footballing history began at the 1912 Stockholm Olympics, as following unofficial games against amateur sides in 1910 and ’11, the Russian Empire would field a team for the first time at that year’s tournament. Amber shirts and black shorts were used in these early years, representing the old imperial horizontal tri-colour flag of black, yellow/amber and white; colours which continue to be associated with nationalism in the country today. The first opponents were Finland, who were in fact part of the Russian Empire at the time, and a 2-1 loss to their subordinates was followed by a 16-0 massacre at the hands of the German Empire. Flag of the Russian Empire, 1858-1883. This modest start on the pitch continued, as Russia’s first games on home soil saw them concede a combined 21 goals and scoring none over two games in three days against Hungary in Moscow in July, with both games drawing 3000 spectators. This grew to 8000 for the visit of Sweden the following May, when Russia would score their first home international goal in a 4-1 defeat. Things continued to improve as a 1-1 draw with Norway in September came next, before away games in July 1914 saw back-to-back 2-2 and 1-1 draws in Sweden and Norway respectively. But any chance for further progress stopped here, as international sports competition was interrupted by the international political competition of World War 1. The away game against Norway, as it turned out, would be the last match that a “Russia” would compete in for 78 years, as after the War, the Empire was overthrown before another match could be played. 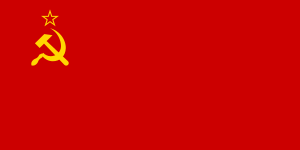 The new entity of the Union of Soviet Socialist Republics (USSR), Союз Советских Социалистических Республик (CCCP) in Russian, or simply the Soviet Union, was created on December 30th, 1920. 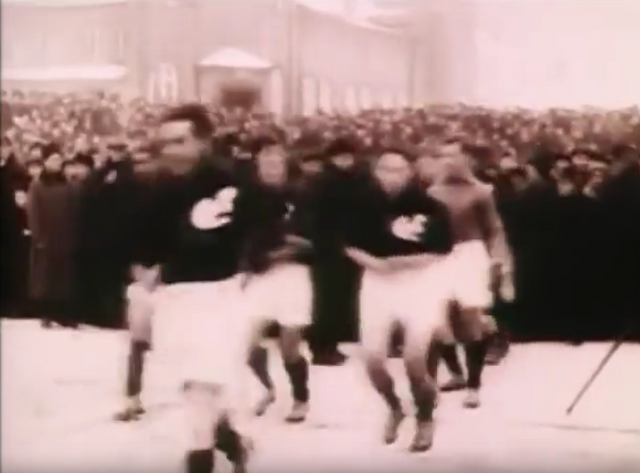 Several unofficial games would be played in the ’20s and ’30, but the first and only official match of the era for the Soviets came against Turkey in 1924. Naturally, red shirts were adopted by the new side reflecting the red of socialism and the state’s flag, with a stylised “CCCP” for a crest. The Soviet Union take to a snowy field for their first official match, vs Turkey, 1924. After World War 2, the USSR and their communist ally countries of Europe refused to take part in the the qualifiers for the upcoming 1950 Brazil World Cup, as the Cold War began to set in. But they would return to the international scene for the 1952 Helsinki Olympics, and by the Melbourne games four years later had adapted their shirt with what would become one of the most iconic shirt features of all time: the “CCCP” letters were now displayed across the chest. Blurry "CCCP"s across the Soviet shirts, vs Yugoslavia, Olympics, 1956. The Soviet Union would go on to win the first ever European Championships in 1960 and would remain as one of Europe’s most prominent sides for the next three decades, rarely missing out on World Cup qualification. 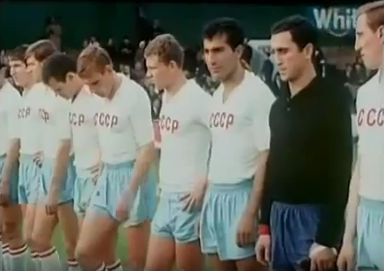 At the 1966 edition, a change strip of white shirts with red trim and blue shorts was used against North Korea that would inadvertently foreshadow the future Russian colourway, but was quite possibly based on the flag of the Soviet naval ensign. USSR's "Russia kit", vs North Korea, World Cup 1966. By the 1980s, a hammer and sickle themed crest was added to the shirts, which were now being made by Adidas. In this decade several iterations became quintessential examples of kit-style in the era, and would go on to be some of the most favoured shirts of many kit historians and casual fans alike. USSR in one of their several iconic shirts of the '80s, vs England, Euro 88. Classic USSR away kit, vs Netherlands, friendly, 1989. As the 1990s began, the state of the Soviet Union was closing in on the end of it’s existence as communist regimes across eastern Europe collapsed. 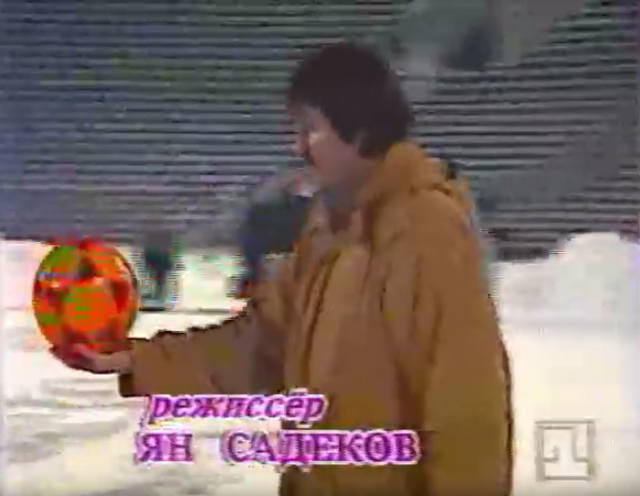 The football team would make the most of the little time they had left though, as after World Cup ’90 they would contest a whopping 27 games across friendlies, minor tournaments, unofficial games and Euro ’92 qualifiers, until the dissolution of the USSR in December 1991. A friendly away to Scotland in February 1991 seemed to be the last time that the CCCP lettering was worn across the torso of the shirts (in this instance an away shirt), as the following month against Germany a new strip was debuted employing an eccentric Adidas template. The new shirt featured a “checkers” design on one shoulder and sleeve, and other patterns reminiscent of World War 1-era dazzle camouflage for ships (so henceforth we shall refer to this template as the “dazzle shirt”), but was devoid of a CCCP. 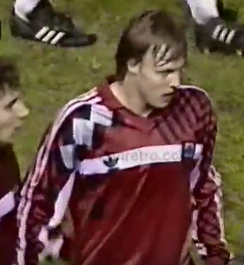 One of the last times the "CCCP" would be seen on a Soviet shirt, away to Scotland, friendly, 1991. USSR, for the first time wearing what would turn out to be their last home kit, vs Germany, friendly, 1991. 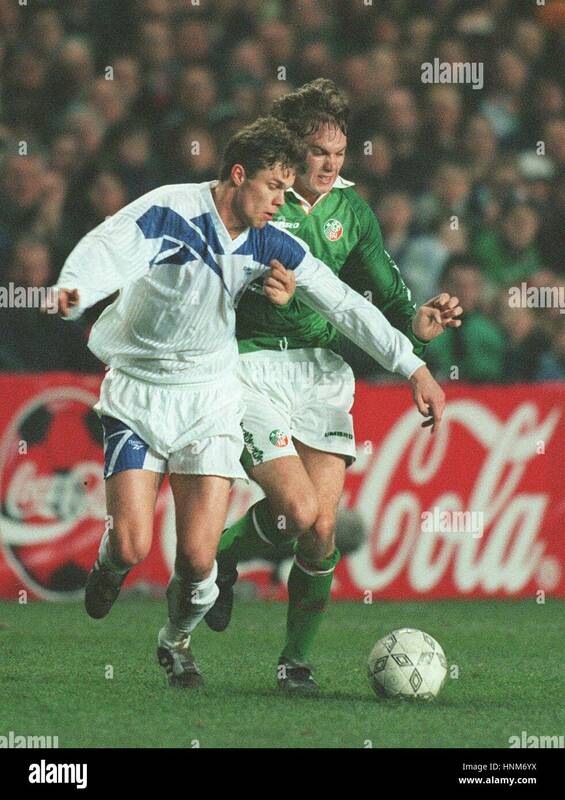 A Euro ’92 qualifier away to red shirted Hungary in April saw the debut of the away version of the shirt, as part of an all-white ensemble. But then, a May game against England in Wembley for the “England Challenge Cup” saw a return of the previous “CCCP”-baring home shirt. It seems this was brought for it’s short sleeves as a warm weather alternative, as for their other game of the competition – vs Argentina at Old Trafford – the long sleeved dazzle shirt was again used. 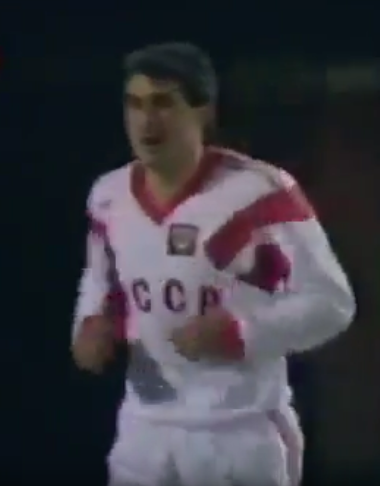 The England tie would prove to be actual the last time that the CCCP would be seen on a Soviet national team shirt. 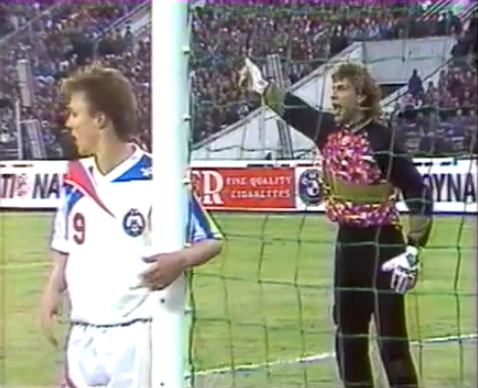 USSR wearing their last away shirt for the first time, vs Hungary, Euro '92 qualifier, 1991. 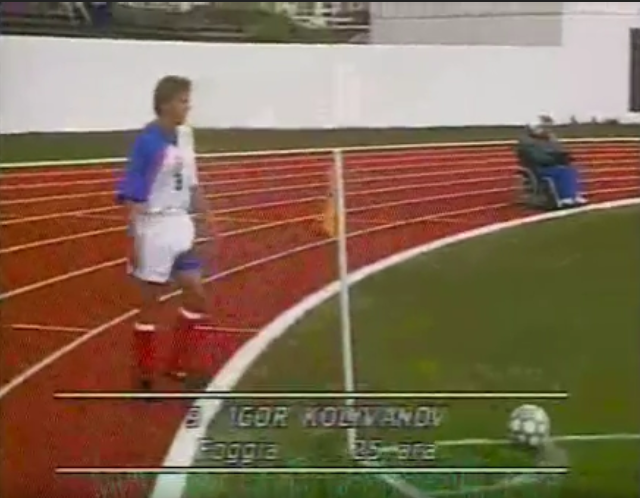 USSR going back to CCCP shirts one more time as a warm weather option, vs England, friendly tournament, 1991. USSR back in the "dazzle shirt", vs Argentina, friendly tournament, 1991. 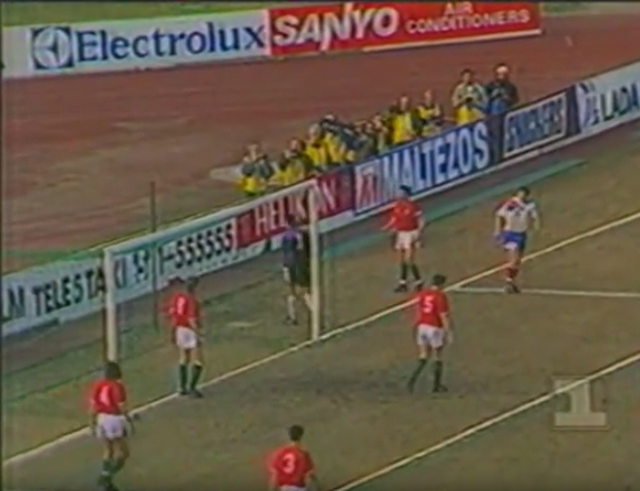 Later in the month, the home shirt’s own short-sleeved version saw use for the first time at home to Cyprus in the European qualifiers, as part of an all-red strip. A warm weather version of the away shirt was also worn that summer, such as against Italy in another friendly competition: the Scania 100 Tournament. 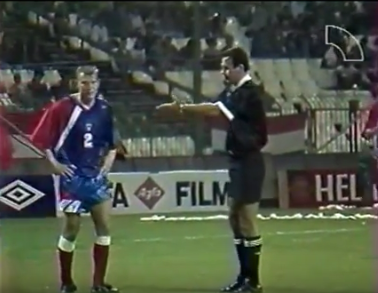 USSR wearing the short sleeved version of their home shirt as part of an all-red strip, vs Cyprus, Euro '92 qualifier, 1991. 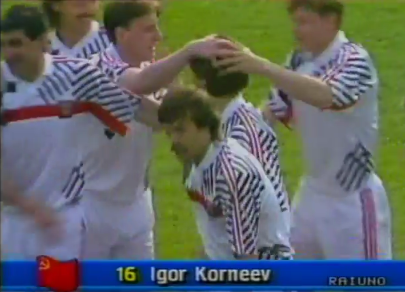 USSR's short-sleeved away shirt, displaying "dazzle camouflage" features, vs Italy, friendly tournament, 1991. The year concluded with a final Euro qualifier away to Cyrpus in November, with a 4-0 win securing qualification for the Soviet Union had they continued to exist as a political entity. The white kit worn would be the last ever strip to be used by a Soviet side, as amid continuing turmoil, the Union formally dissolved on the 26th of December, 1991. 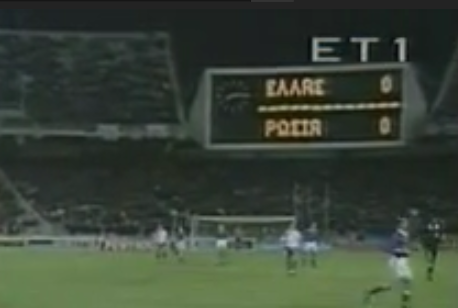 The last ever match of the Soviet Union, vs Cyprus, Euro '92 qualifier, 1991. 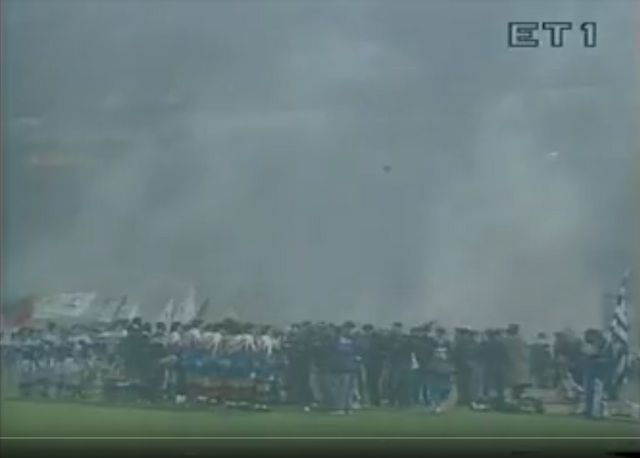 However, it was not to be the last time that the dazzle shirts would be seen in international football. The Commonwealth of Independent States (CIS) had been formed immediately following the collapse of the Soviet Union as a confederation of the former Soviet republics, and as a “successor state” of sorts, a football team was created to inherit the USSR’s Euro ’92 spot. 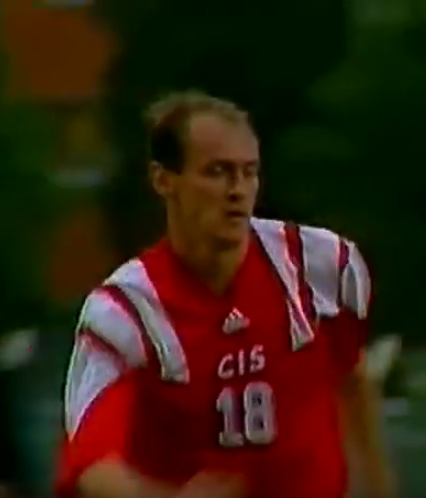 The CIS played it’s first international in Miami against the United States in January 1992 in the short sleeved version of the last Soviet away jersey, with the long sleeves used in a follow up tie against the same opposition (who wore all-blue on both occasions) in Detroit days later. 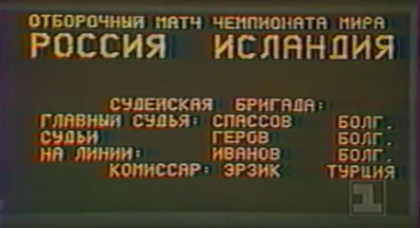 In the absence of anything else, a Spanish language report of the game used a Russian flag to represent the CIS in match graphics, the presence of which – along with the continued use of a shirt featuring a hammer and sickle on the crest – demonstrated the confusing transitional nature of the era. The red ’91 Soviet home shirt also saw a revival and was worn one last time in a pre-Euro ’92 friendly against England. 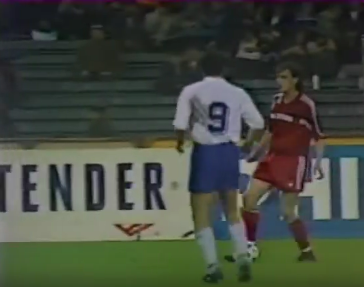 CIS wearing the USSR's away kit in their first international match, vs USA, friendly 1992. 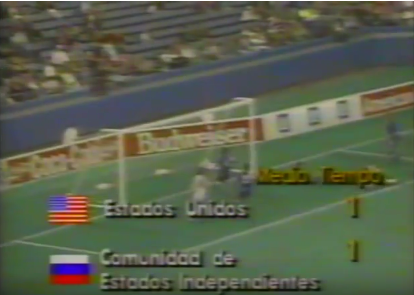 The Russian flag being used to represent the CIS, vs USA, friendly, 1992. 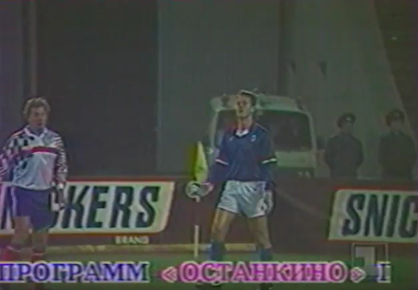 CIS wearing the USSR's all-red, vs England, friendly, 1992. By the tournament itself, CIS would finally have their own kit in the form of the new Adidas Equipment range, and it was confirmed that like the USSR, red was being used as first choice shirt colour. White stereo shoulder bars dominated the shirt, with the CIS initials appearing in the centre of the chest in lieu of an actual crest. The new “Adidas Equipment” brand logo replaced the trefoil for the first time, while the white shorts only added a player number to said brand logo, both in black. 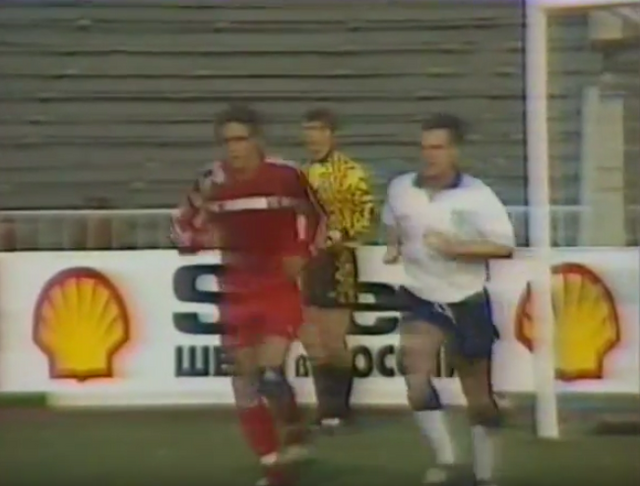 The CIS finally debut their own kit, vs Germany, Euro '92. The numbers on the back of the shirts were white, but the presence of the shoulder bars proved problematic with regards players names – being used along with front-numbers for the first time in an international tournament. So as not to clash with the white of the bars, black was used for the letters, which over the red background were not exactly legible either. The issue seemed to demonstrate that the template had not really been designed with the new kit requirements in mind (France also used the template at the competition but did not experience the same problem due to their two red outer bars, while Sweden in the other “mono-shoulder” version used yellow trim on their outer-right blue letters to avoid the issue). The back of the CIS shirt, demonstrating the black lettering used for player names, vs Germany, Euro '92. In their following game against the Netherlands, the CIS would use the away version of the new shirt for the first and only time, before returning to the red shirt for their last game of the competition against Scotland. It would be the last time that a CIS team would ever take to the field, making them what has to be the shortest-lived international side to ever compete at an international tournament. The one and only outing for the CIS away kit, vs Netherlands, Euro '92. 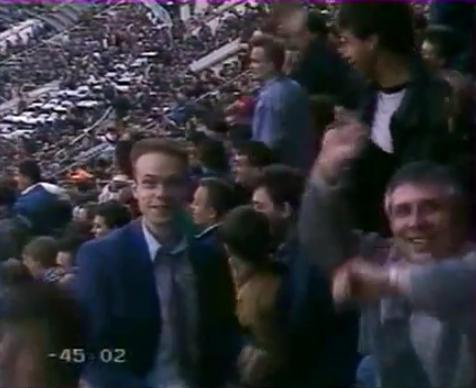 The CIS' last appearance in international football, vs Scotland, Euro '92. Finally we are approaching the conclusion of what is still just the background to our featured campaign. But this has all been relevant to what was about to happen. Well, maybe not that stuff about the colour of the player’s names, but we though it was interesting. 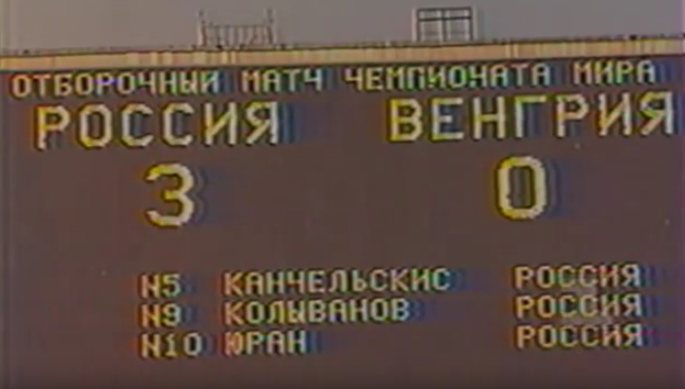 With the conclusion of the Euros, the need for a combined CIS side was no more and a new Russian team officially succeeded both the USSR and CIS in FIFA cannon, taking their allocated spot in the upcoming World Cup ’94 qualifiers in the process. The Baltic states of Estonia, Latvia and Lithuania were also granted places, but as the earliest former-Soviet states to declare independence, they were the only ones besides Russia allowed to take part. 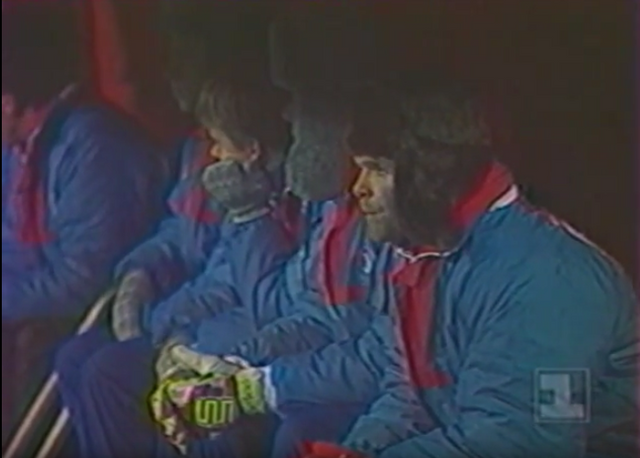 The likes of Ukraine had lobbied for a tournament between the nations who had made up the USSR instead, but this was blocked by Russia who naturally didn’t want to miss out on their chance at World Cup qualification. 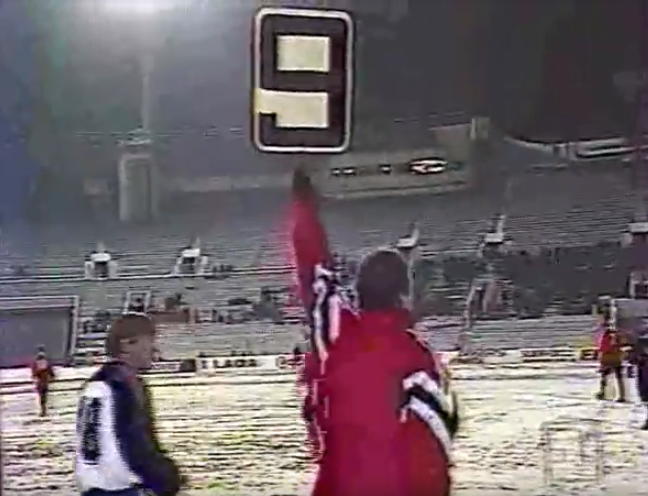 Before the qualifiers got under way though, there was still time for one friendly game and on August 17th, 1992, Mexico visited Moscow’s Lokomotiv Stadium to play in what was to be the Russia’s first international match as a modern state. Amazingly, the short-sleeved version of the white Soviet dazzle shirt was brought back from the dead yet again (insert some sort of obvious Rasputin joke here), now being employed as a home jersey for Russia who were to wear white as a primary shirt colour. The only difference to what the USSR would have worn the year before was the shorts, which were the same as the CIS (minus numbers) rather than the shorter in length red-trimmed pairs used by the Soviets, which also meant that the kit contained both a trefoil on the shirt and Adidas Equipment logo on the shorts. 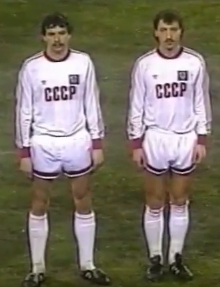 Russia wearing the old Soviet Union away shirt as their first ever home shirt, vs Mexico, friendly, 1992. 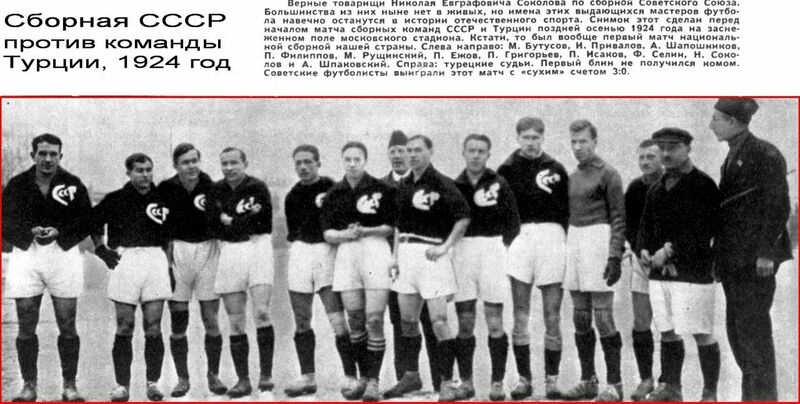 This meant that the jersey in question had now been worn by three different teams representing three separate political entities – also surely the only instance of it’s kind – as well as the interesting dichotomy of a post-communist Russian side wearing a hammer and sickle insignia on their chests. The use of the shirt did make sense though, as considering the turmoil of the time, it is not really surprising that producing new sports gear was not on top of anyone’s agenda. Of the available options to hand, it was evidently felt to be more appropriate to revert back to the less obviously Soviet shirt, rather than wear one which blatantly proclaimed “CIS”. 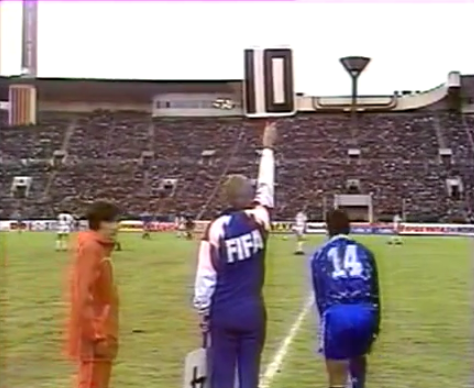 On December 8th, 1991 – eighteen days before the USSR dissolved – the World Cup qualifier draw took place. The addition of Estonia, Latvia and Lithuania helped to boost the number of participating European teams from 32 to 39, which dropped to 38 after the withdrawal of Lichtenstein who had been set to take part for the first time. While Russia would ultimately be awarded the Soviet Union’s place on June 1st, the Federal Republic of Yugoslavia (now not including Croatia, Slovenia, or FYR Macedonia) had been suspended by FIFA and UEFA a few days earlier, after UN sanctions relating to the region’s escalating war. The immediate impact was losing out on their Euro ’92 spot, but also removal from the World Cup qualifiers (now down to 37 teams). 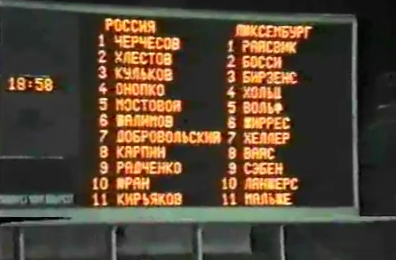 As the top seeds had lost a significant portion of the available players who would have joined the Russians in a united Soviet/CIS side, and the second seeds having vanished entirely, Group 5 was left unusually weak. 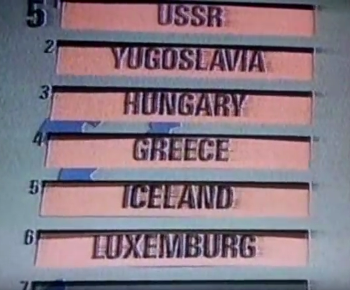 Five groups of six teams and one of seven had originally been intended, but the Yugoslav suspension also created the odd situation where Group 5 contained only five teams, compared to the bloated seven of Group 3. Also worth mentioning is that only two points were still being awarded for a win rather than three at this stage, and the ultimate top two teams in each group would qualify. Four of the five countries in Gourp 5 weren’t involved in the 1992 European Championships, so some qualifying games had already taken place in May and June of that year. Further fixtures in September and October meant that some teams had played two, or in the case of Iceland, three times before the brand new Russian side had even taken part in a group game. But later that month, the wait would finally be over. But more important, of course, was what was being worn on the pitch, and in answer to our rhetorical pondering at the end of the Background section, Russia in fact did take to the field once again using the old Soviet away shirt as a home jersey; naturally now employing the long sleeved version for the more wintry conditions. 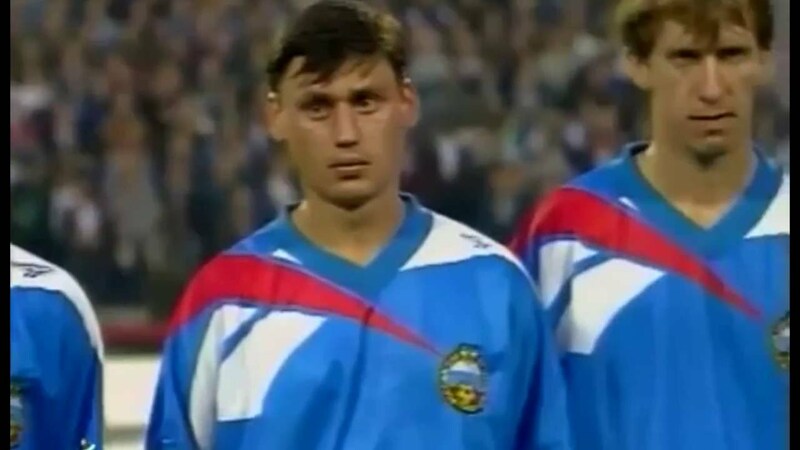 With their nearly Soviet shirts/Russian flag kits, a second half goal by Sergei Yuran – a Ukrainian who like Andrei Kanchelskis had chosen to declare for Russia – was enough to give the hosts “all 2 points”, in what was a historic game for the nation. 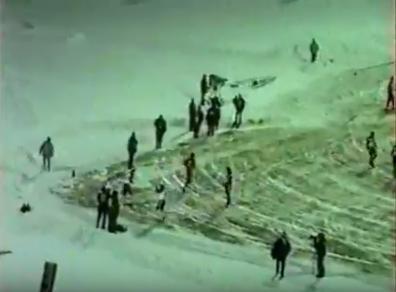 If conditions were bad for the Iceland encounter, then things were about to hit a whole new level two weeks later for the visit of another of Europe’s “minnows” in Luxembourg, as the Russian winter really began to set in. The match would most likely have been postponed in modern times, but as this was 1992 it went ahead and as a result may be one of the most heroic games in the history of the sport. The blue shorts from the Iceland game were retained, but since Luxembourg were wearing all-red, white socks with blue trim were introduced. 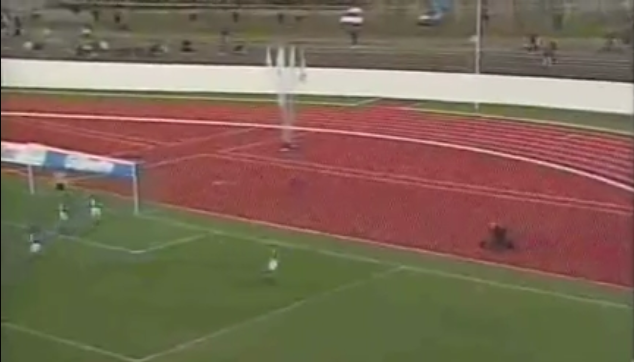 The fans who had braved the elements were rewarded with an early goal from that man Yuran, which was followed by another from Dmitri Radchenko to give Russia their second victory. While the game against Mexico had been historic for being their first match, and the Iceland game their first competitive match, now Russia had played their first game in what were their own actual shirts. Kind of. 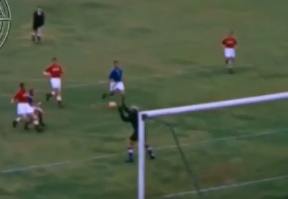 Russia’s next two games came the following January in the Nehru Cup, an annual tournament hosted by India that the Soviet Union had participated in and won several times. While it is pretty irrelevant to our main subject, the make up of that year’s competition may be one of the most amazing and diverse assortments of national teams you could find, with Finland, Bolivia, Cameroon and North Korea (the eventual winners) joining Russia and the hosts. What we do not know is if Russia maintained their makeshift kits for the tournament, as presumably short sleeved versions were at least needed for the Indian heat. 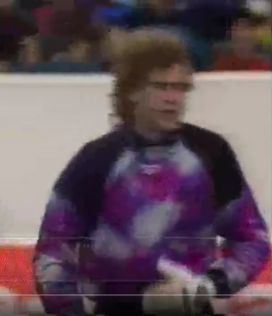 But by the following month, when Russia took on the United States in Orlando – just over a year after CIS had played there in Soviet shirts – they did so at last wearing a kit that was entirely made for them. Adidas had been replaced by Reebok, who at this stage were just beginning to wade in to the football kit market, and a template that was used that we have seen before (see Retro Shirt Reviews #3). 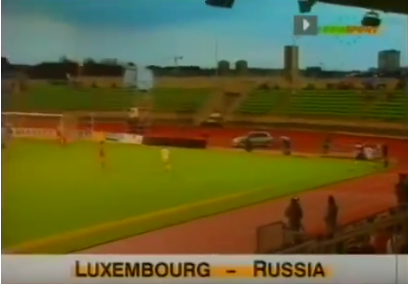 After the hellish conditions in Moscow for the previous tie (although hell is hot so that’s not really apt), 3180 were in attendance on a calmer spring evening at the classically European Stade Municipal in Luxembourg for the return game, thus giving a nation of less than half a million people a greater turn out than the biggest country in the world. The hosts wore the same red kit as seen in Russia, while the visitors chose to go with all-white rather than blue shorts as before. But more notably, after having paid homage to their Soviet predecessors by bringing back a shirt that seemed done and dusted, Russia returned to Reebok once and for all. On a fine evening for football, 25,000 were in attendance at the Luzhniki for the visit of Hungary next, now the de-factor second seeds in the group. Having only come up against the two weakest sides so far, this was to be somewhat of a sterner test for Russia, although the visitors were in the midst of a particularly weak era. To top off the day, goals from the two Ukrainian born players mentioned earlier and one from Kolyvanov in between gave Russia a 3-0 victory, keeping up their impressive 100% record in competitive football to date and with zero goals conceded. Of course more impressive to use was their streak of not yet wearing the same kit more than once. But with the respectable crowd and comfortable weather conditions, full first-preference colours and kit with actual crest, and an emphatic victory over a regional rival with a proud football tradition, this finally felt like Russia’s first true big day as a national team. As Russia’s march towards qualification went on, so too rose the crowd as the visit of Greece attracted 35,000 spectators. 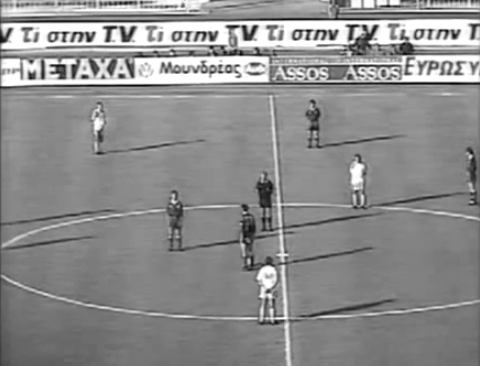 Before the game, a minute’s silence took place. If anyone knows the reason why, do get in touch. The point earned gave Russia 10 points to date, behind Greece on 13 who had already mathematically qualified. Iceland would continue their good form with 2-0 and 1-0 home wins next against Hungary and Luxembourg respectively to conclude their group games, but it was not to be enough as they could only finish on 8 points. Hence, Russia had qualified for their first World Cup finals. In late July, Russia went to Paris for a friendly match against France. 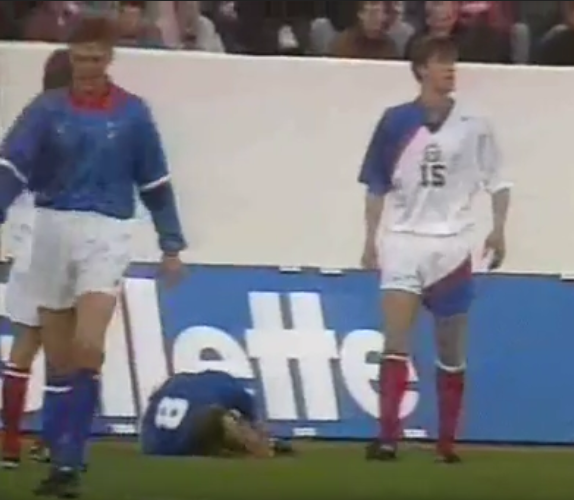 With the way the new Russia kit had fit together against Iceland, it seemed that perhaps white shirts, white shorts and red socks had been decided on as new first preference colours. 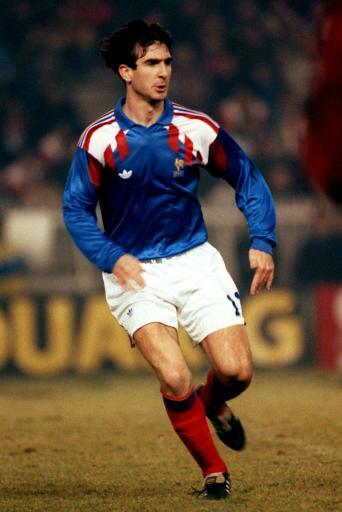 But with the French also in their usual white shorts and red socks, a change was already needed. With the pressure now off, Russia could go to Hungary in September in a relaxed mood, although top spot in the group was still up for grabs between them and Greece. As we have seen before in our debut edition of the Cold War Classic, Hungary seemed to have a habit of inexplicably wearing their away shirts at home. 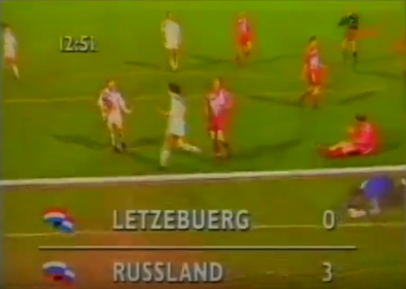 This seemed to have been the same here as both teams turned out in change kits, with the hosts ending up in Russia’s own home colour of white; odd since the two countries home strips had clearly been proved compatible at the reverse fixture in Moscow. Uzbek-born Andrey Pyatnitsky opened the scoring for the visitors, a player who was on his 4th national team, exceeding even the dazzle shirt. 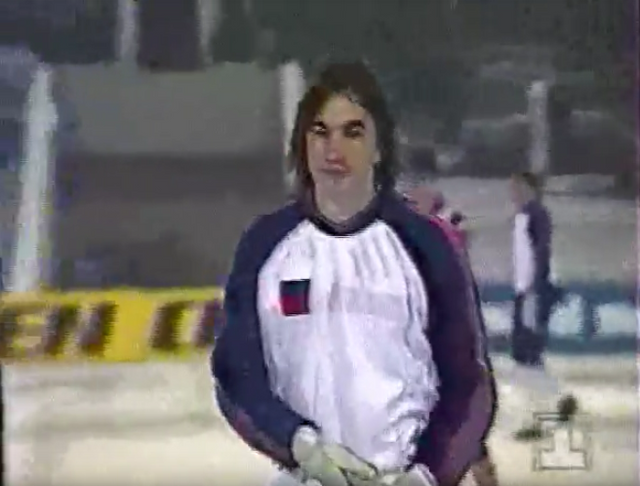 Pyatnitsky had featured in one match for the USSR in 1990 and was a CIS regular in ’92, but had also earned two caps for his home country of Uzbekistan before finally switching to Russia in 1993. Aleksandr Borodyuk strike in the 89th minute secured an away win to keep Russia undefeated and end their mini-run of 1-1 draws. 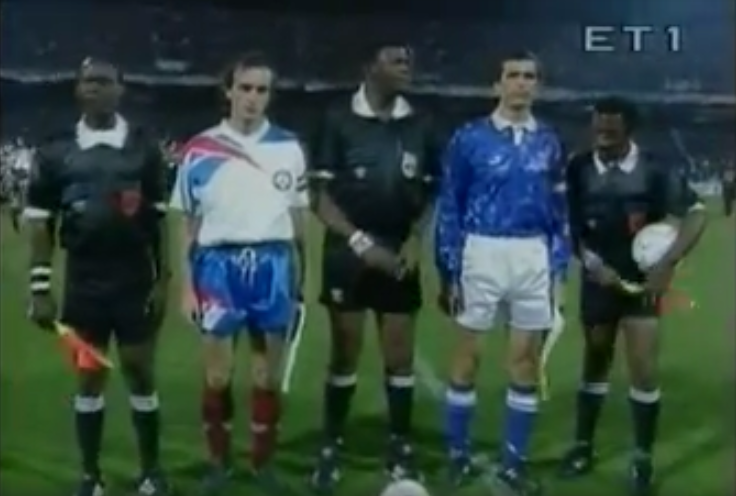 This was another game where it seems like it would have made most sense to repeat the kit configuration of the previous tie, with Greece in all-blue and Russia in all-white to eliminate any confusion. 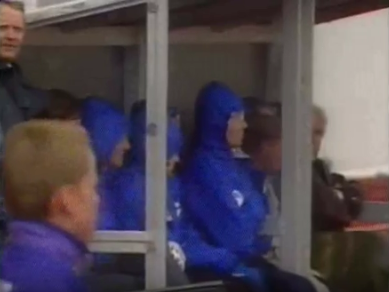 Instead we got a repeat of the colour swatch from Russia’s opening game of the group against Iceland, as Greece wore blue, white and blue with Russia in white, blue and red. 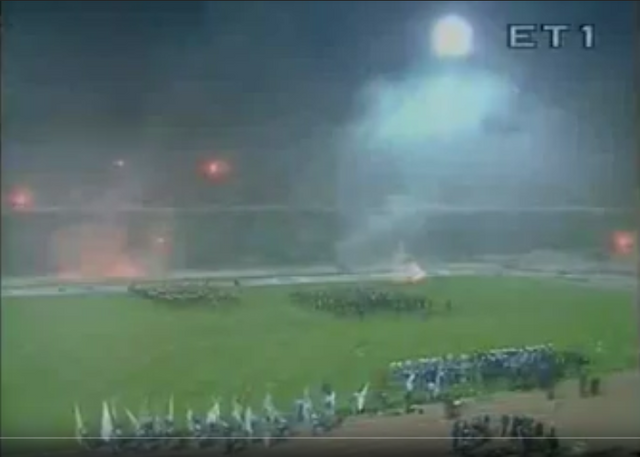 This is a game that we will come back to cover itself on the site some day, as unsurprisingly there was pyro on the pitch, and plenty of it as it was to be Greece’s night. The only goal of the game came in the 69th minute to seal the game and give Russia their first competitive defeat, and the team who had originally been fourth seeds topped the group. In the light of their own qualification, this won’t have mattered too much to the Russians in the end. But more impressive than their achievements on the pitch in their first 14 months as team, was their amazing record of having worn seven distinctively different kits in their eight games of the group, summing up and wrapping up this incredibly interesting time period for the team, and the series of events that had led to it. This was not to be the end of Russia’s relationship with the big Reebok logo shirt as at least three more versions would be used through home and away kits in ’94, ’95 and ’96, between various other Reebok kits. Which is perfect really considering what we have seen here. The other template with the blue seelve, meanwhile, never saw the light of the day again, clearly being deemed more hassle than it was worth. But it was a nice idea.